Oh my! You are famous! 7,583 people have already liked it! You’re a hula hooping genius!! Eeeeek! I think it’s up to around 20,000 people now! Seriously, you are famous. I think we need a toast for this! Congratulations! 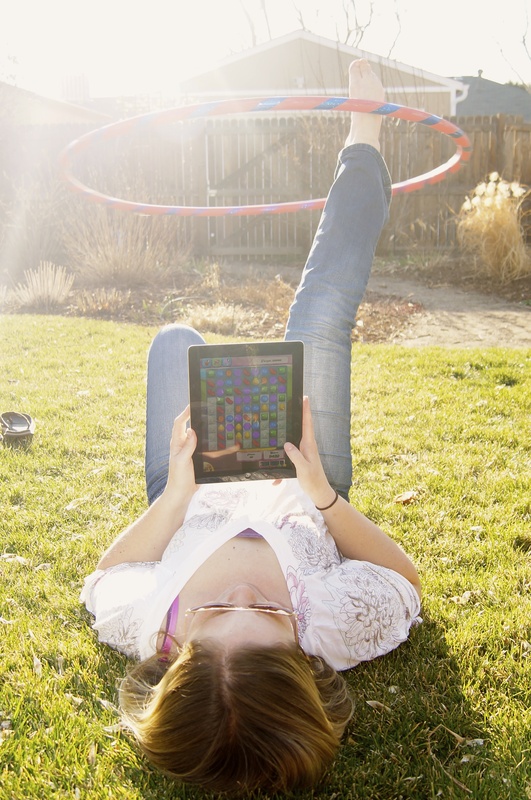 Errr… what’s Candy Crush? 48 year old Analogue Man we’re dealing with, here. I always knew you would be famous some day! Between this, and the newspaper publication for Mother’s Day, I’m quite famous. Hehe. Once you get the hoop going it’s pretty easy. And I have an adult hoop that’s weighted so it’s easier. Go girl, you are multi talented. I think you should include this photo in your resume whenever you apply for jobs. Thank you, Gareth. I have worked very hard. Maybe I need to hoop while writing or trying to sell my book? Congrats on the 15 minutes of fame!! Thanks! I actually took the picture for a contest they had on the FOAP app. They were looking for “magical Candy Crush Moments”. I didn’t win the contest, but they still bought my picture. omg. mad hula hooping skills! I get a lot of exercise hula hooping too. all that bending over to pick it up gets tiring! I love that I surround myself with the famous!